Firefighters, police, and paramedics on 9/11 never hesitated when the call came over the radio on that day. While everyone else is running away from danger these men and women ran to it. 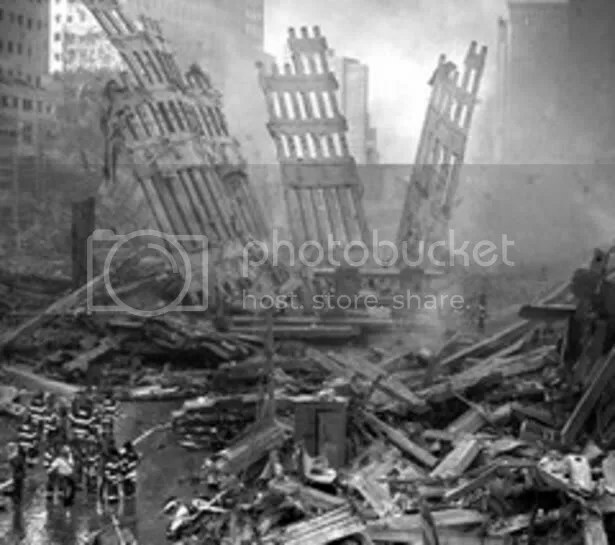 Then in the aftermath they came together to cleanup and search for possible survivors; all the while being told by the government the air was safe. President Bush stood with first responders and promised that we will never forget and that would recover; so why nearly 10 years later when it comes to those first responders are Republicans playing partisan politics? I can understand politicians playing games with Tax Deals, and other forms of legislations that may go against their ideology but that was supposed to all changed on 9/11. There are no politics when it comes to 9/11, or at least there should not be… Except Republicans have decided that politics are more important. At first Republicans complained about the price tag of the bill; the original bill would have cost $7.2 billion and would have provided enhanced healthcare and monitored the health of those who worked at Ground Zero. Democrats then setup the legislation so that it would be paid; Democrats would pay for the bill by closing a tax loophole that gave foreign businesses a tax break for bringing foreign workers into the United States. So what is the REAL motivation of the GOP? Well, all you have to look at is the United States Chamber of Commerce who oppose closing the tax loophole; their argument is that this will hurt relations with foreign businesses. So when did foreign companies become more important than Americans? So where are those Republicans like Sarah Palin, Michele Bachmann etc… who challenge President Obama’s loyalties? The GOP is so desperate to raise money for their party that they are willing to sellout Americans rather than upset a HUGE money donor like the U.S Chamber of Commerce! Currently Senators Schumer and Gilibrand have been working on passing the bill; they have trimmed the cost of the bill down to $6.2 billion and are hoping they will have enough Republican votes to pass this. The hope is that the Senate will pass this legislation today for it be signed by the President before the Lame Duck Session of Congress is over. It’s crazy to believe that Republicans held extending unemployment benefits for millions of Americans along with tax breaks for the middle class hostage so that they could extend unpaid tax breaks for the richest Americans. Is there any question who Republicans care about? DO THE RIGHT THING AND PASS THIS LEGISLATION!!! !